Ready for everything from sprinkles to a deluge this completely waterproof pack employs a roll-top design to keep water out.420D nylon with TPU film laminate Waterproof main compartment with roll-top construction Easy-access removable laptop/tablet organization sleeves Removable high visibility liner Organization panel with two zippered pockets Quick-access water-resistant front zippered stash pocket Ultra-padded air mesh back with Air Flow System Off-center removable hip belt Dual Density shoulder straps Two-way adjustable sternum strap Strap containment system to ensure all straps are secured Laptop sleeve: 14.5 h x 9.75 w x 1 d; fits most 15 laptops Dimensions: 20.5 h x 10.5 w x 6.75 d (rolled) Capacity: 1 600 cu.in./26.2 L Weight: 2.5 lbs./1.49 kgBags not intended for use by children 12 and under. Front pocket with hook and loop closure. Pen loops and D ring on front. Top grab handles. 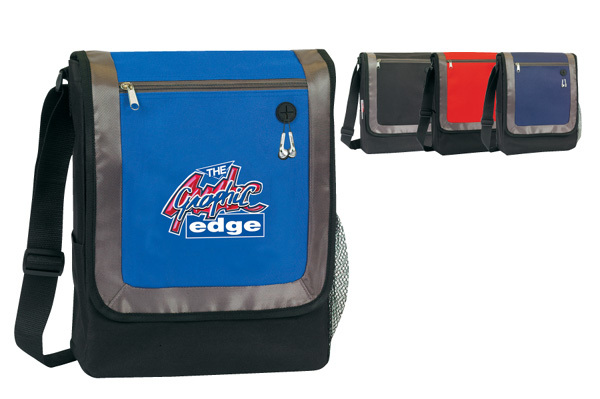 Permanent adjustable shoulder strap. 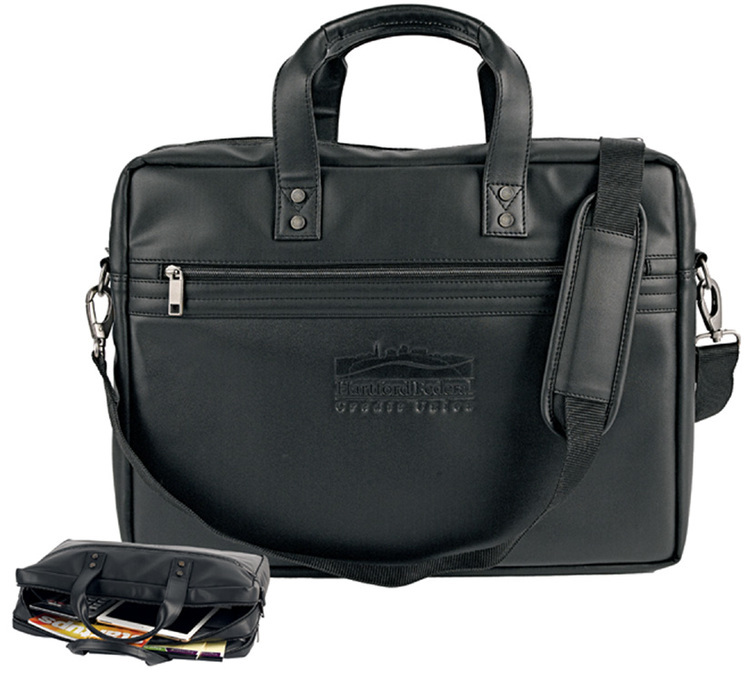 Simple soft-sided casual brief with top load main compartment and two easy-access full-length exterior pockets. 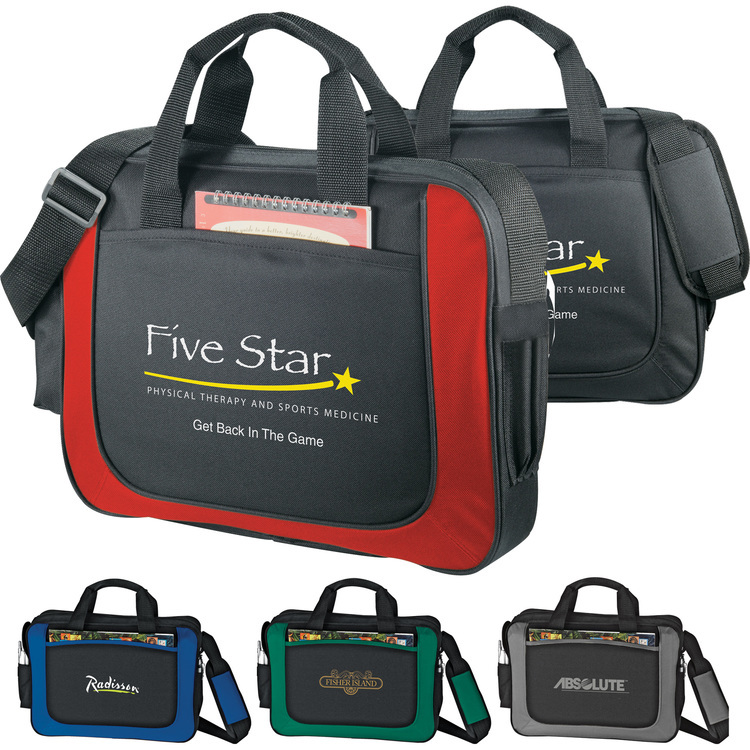 It includes an interior nylon organizer and has protective 420D/PVC backed lining. 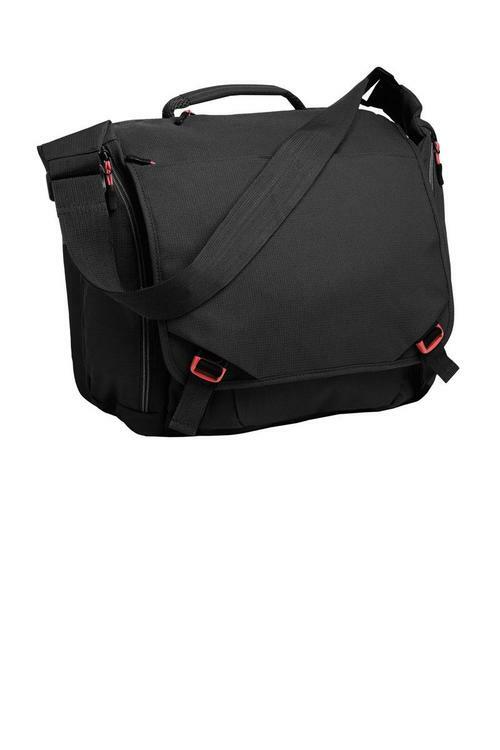 The shoulder strap can be detached and the bag carried with the two carry handles. 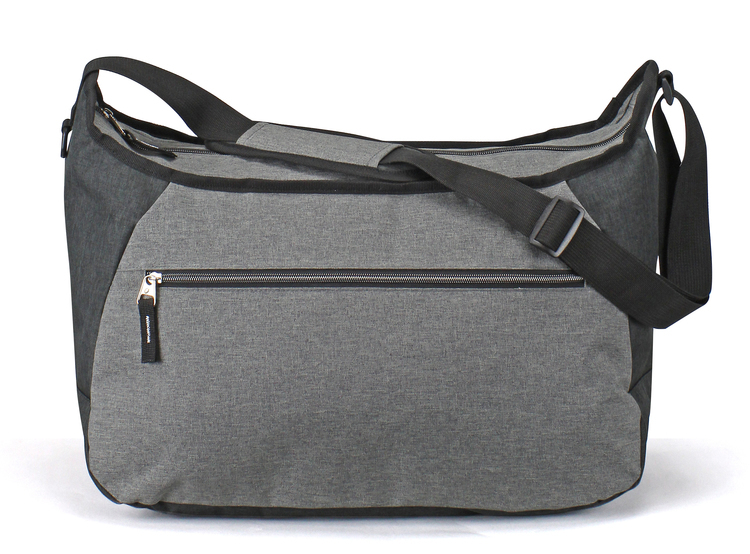 Or the shoulder strap adjusts from 36" to 54" for the perfect length. 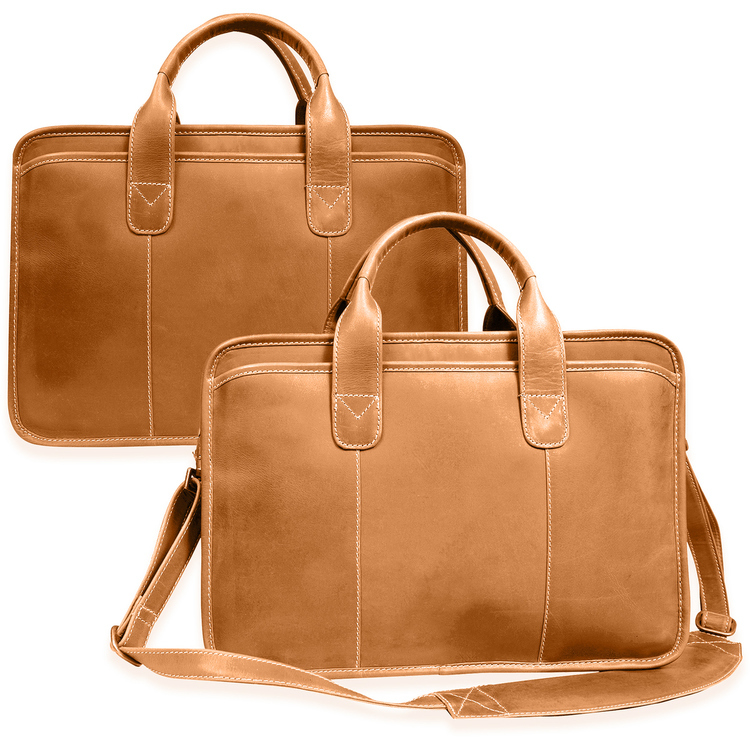 The laptop sleeve measures 13" (w) x 9" (h) x 1-1/2" (d). 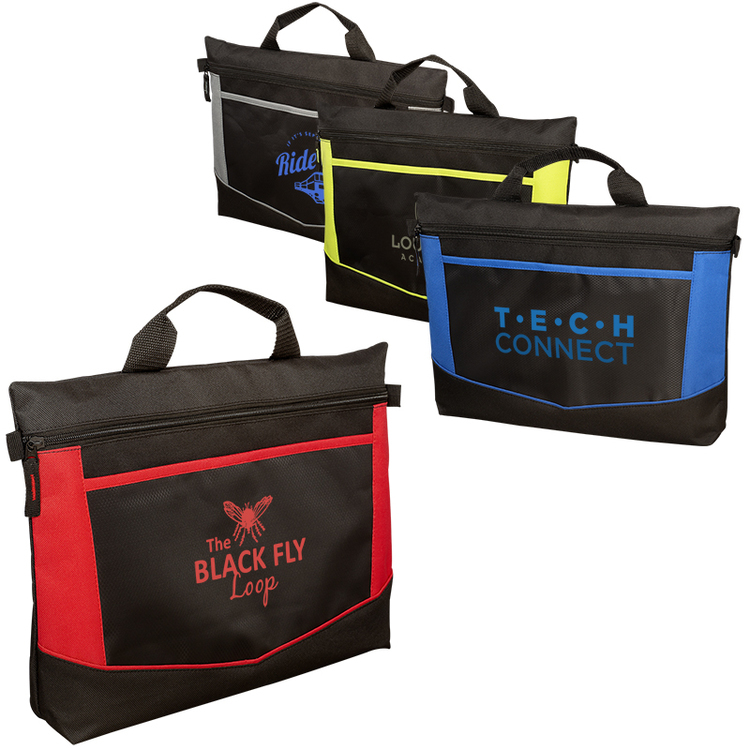 Three file compartments with padded computer sleeve. 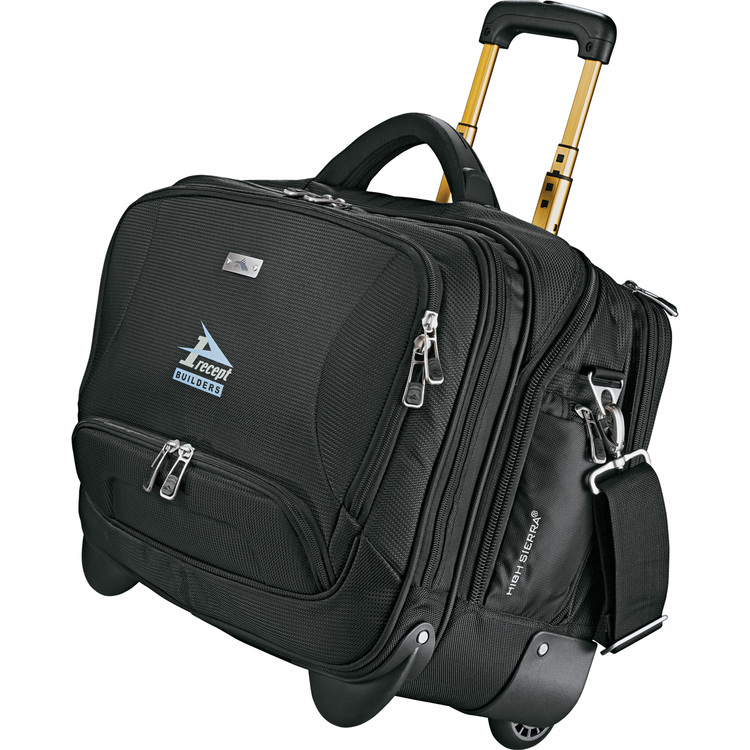 It has an interior organizer, numerous exterior pockets and protective 420D/PVC backed lining. 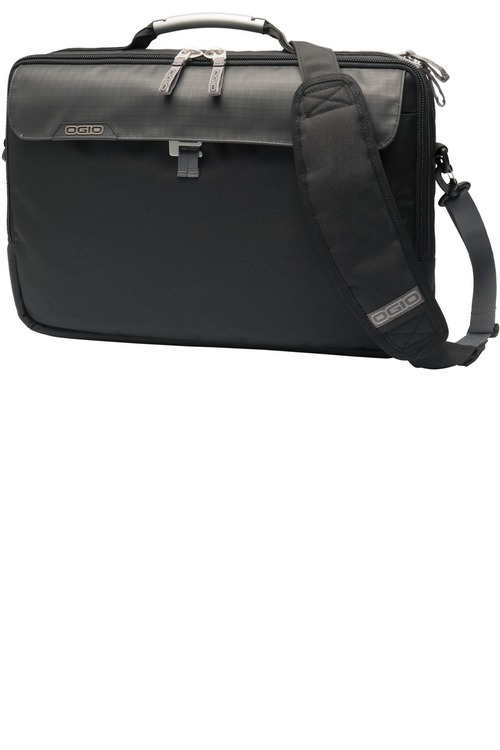 The ergonomic comfort shoulder strap adjusts from 36" to 54" for the perfect carrying length. 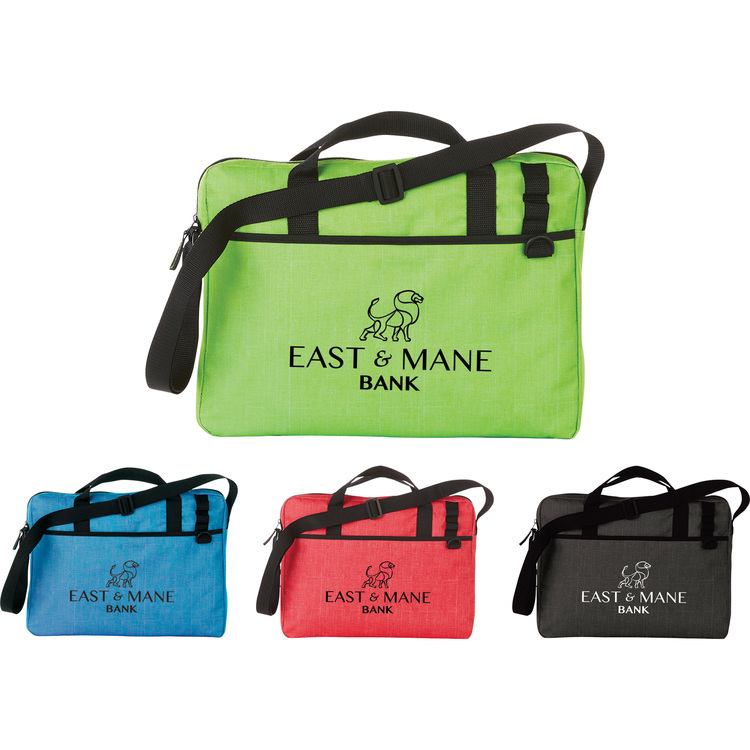 Or the strap can be detached and the brief carried with the two carrying handles. Laptop sleeve measures 15" (w) x 11" (h) x 2" (d). 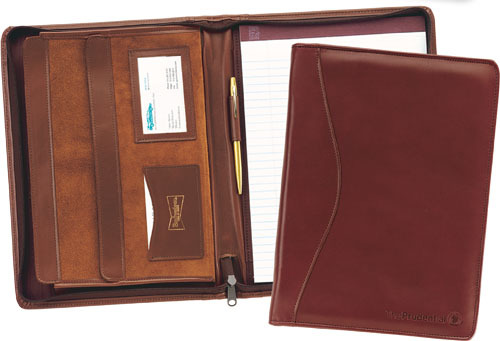 Popular flap closure with inside organizer for pens, software, calculator, and more. 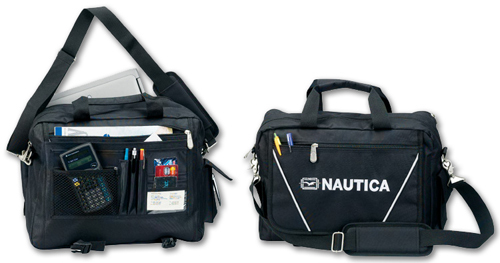 It features a padded computer sleeve and 420D/PVC backed lining. 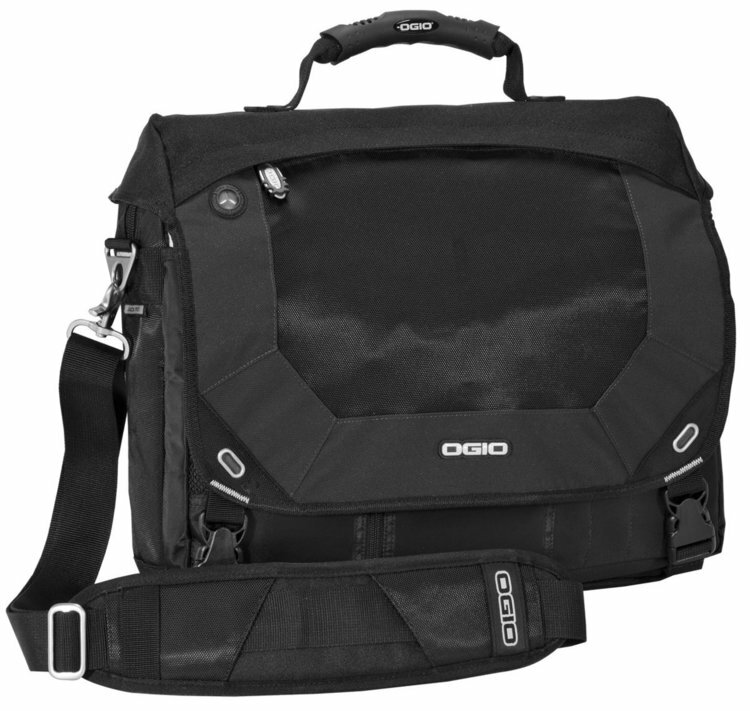 The ergonomic comfort shoulder strap can be detached or it adjusts from 36" to 54" for the just right length. 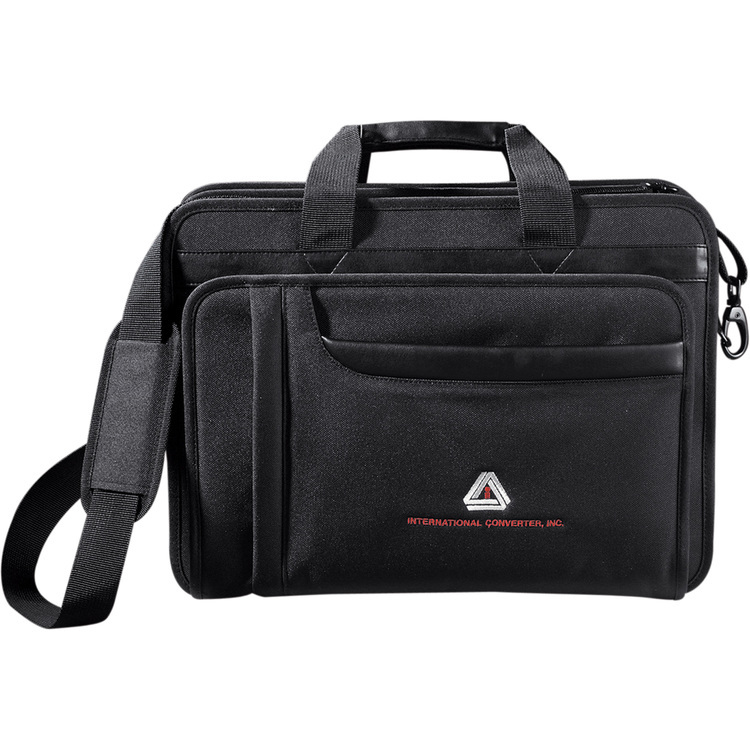 Laptop sleeve measures 14" (w) x 10-1/2" (h) x 1-1/2" (d). 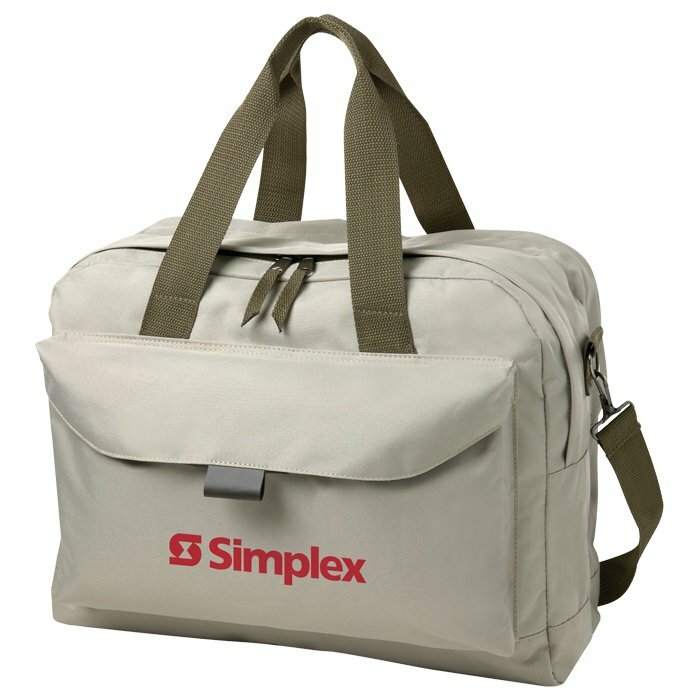 • Brief bag with large zipper main compartment, front open pocket with hook and loop type closure. 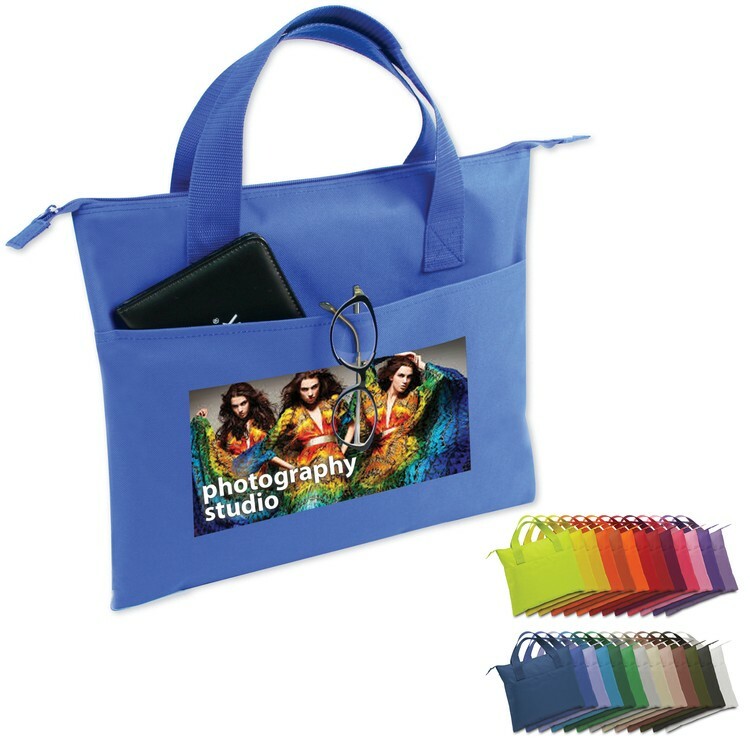 • Made of 420D Polyester/PVC and 600D Polyester/PVC • Includes 9.8""l handles. • Front pocket measures approx. 11.75""w x 6.5""h. • Hand-wash only. Wipe clean with damp cloth. • Recommended weight tolerance: 11 lbs. 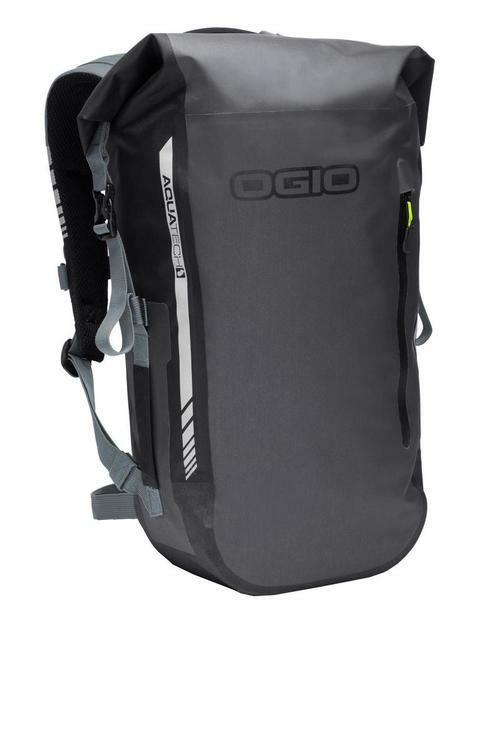 ID Window, Front and Side Mesh Pockets, Pen Holder Headphone Access and Adjustable Shoulder Strap Material: 600 Denier with heavy Backing. 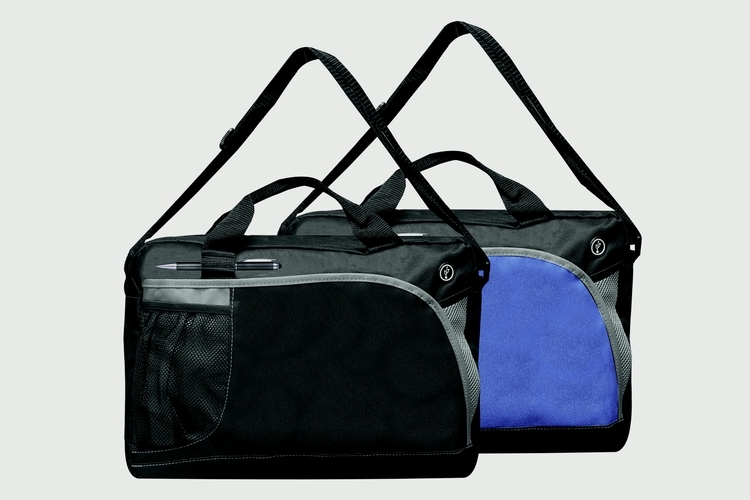 Available Colors: Black, Royal. 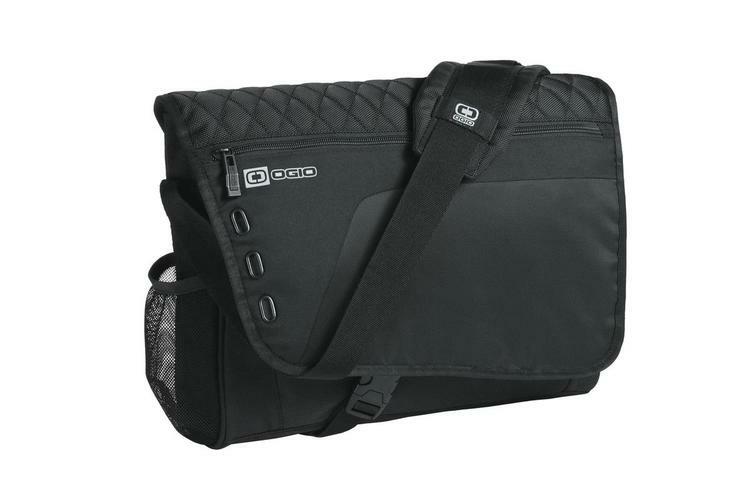 For the consummate professional: an ultra-sleek messenger for the pursuit of business.1 680D nylon ballistic twill/450D poly/face-coated 840D nylon double ripstop Easy-access padded laptop compartment Padded tablet/e-reader sleeve Main compartment with three mesh organizer pockets Front flap pocket with deluxe organization panel Adjustable padded ergonomic shoulder strap Laptop sleeve: 10.5 h x 15.5 w x 1 d; fits most 17 laptops Dimensions: 11.25 h x 17 w x 4 d Capacity: 800 cu.in./13.1 L Weight: 2.2 lbs./1 kgBags not intended for use by children 12 and under. 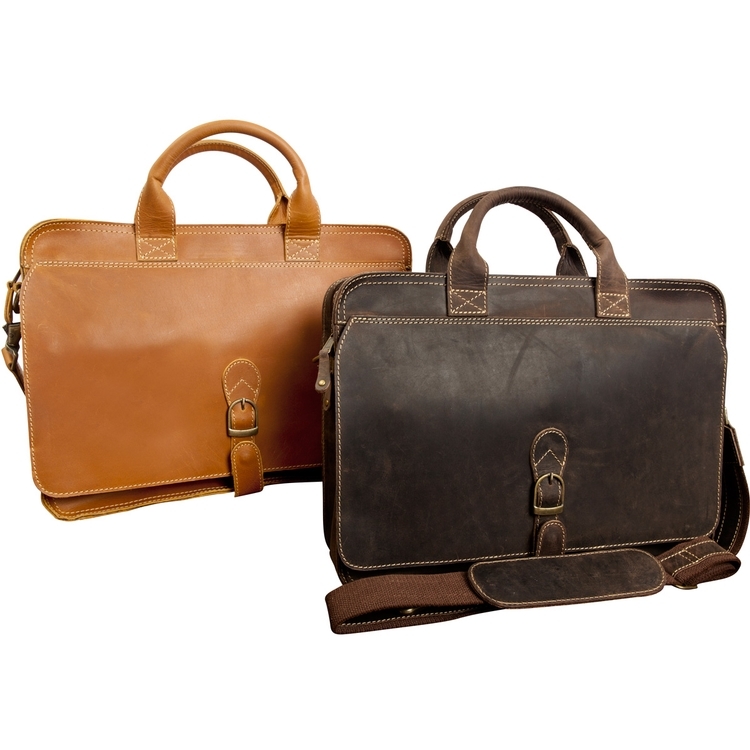 Get the right accessories for everyday professional style with the sharp, upscale look of this Texas Canyon Briefcase. 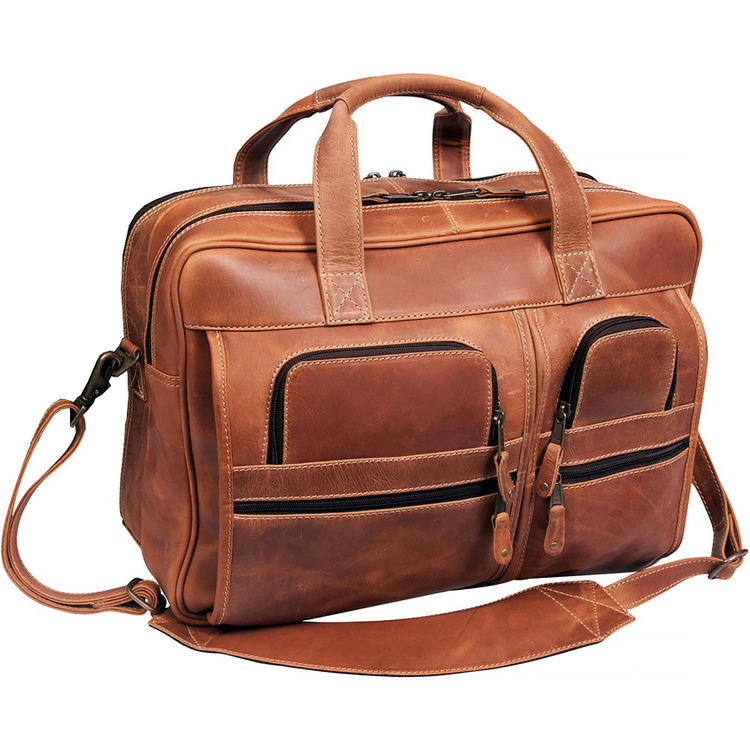 This full grain buffalo hide leather bag features two large main zippered compartments with a padded slot for media devices under one and a small pocket for smartphones and business cards. 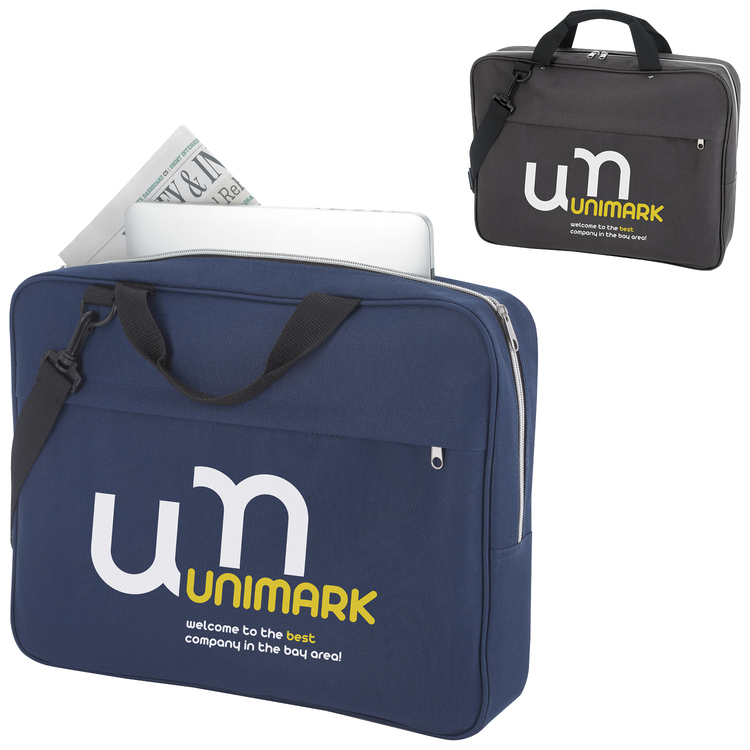 Under the flaps are three zippered compartments and pen slots, all secured with a convenient magnetic snap on the flap. 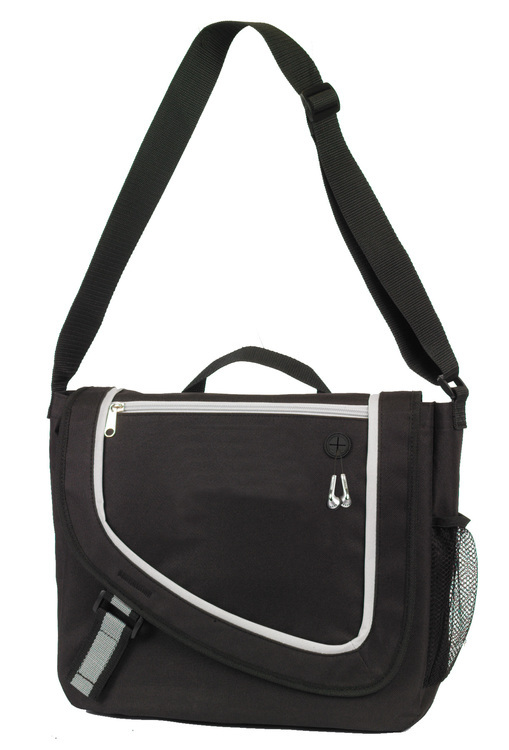 The shoulder strap adjusts from 38" to 62" for comfortable wear or detached for carrying with two carry handle. 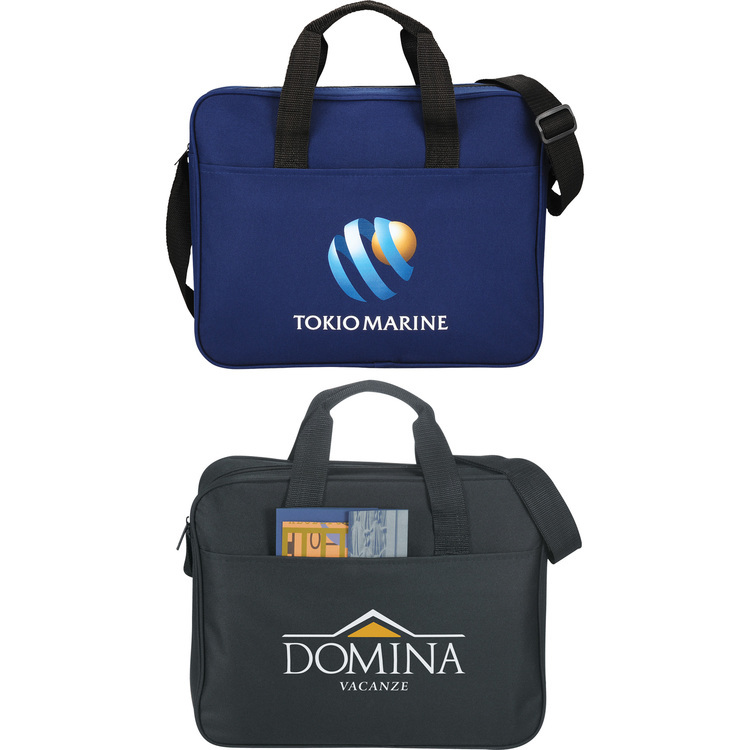 The laptop sleeve measures 12" (w) x 9"(h) x 2" (d). 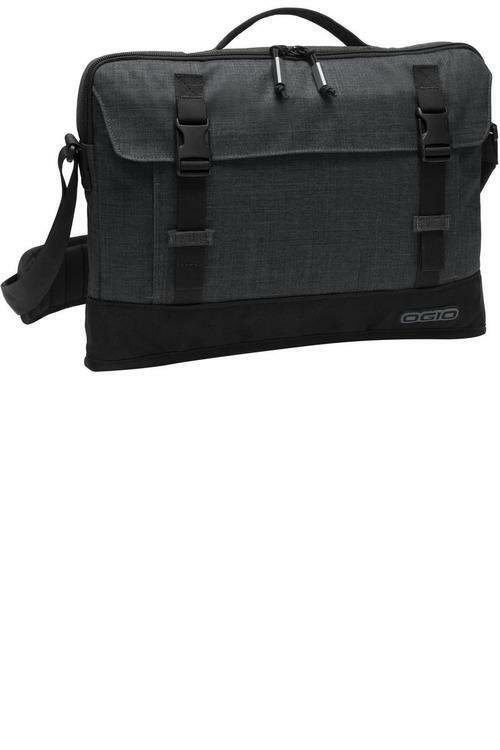 Lightweight construction with a padded computer sleeve. 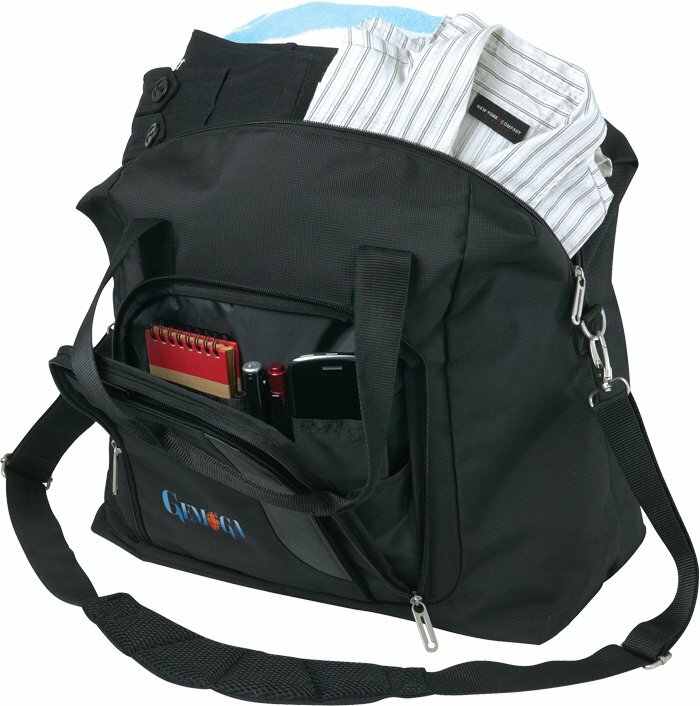 Includes numerous interior and exterior pockets and slots for organizing. 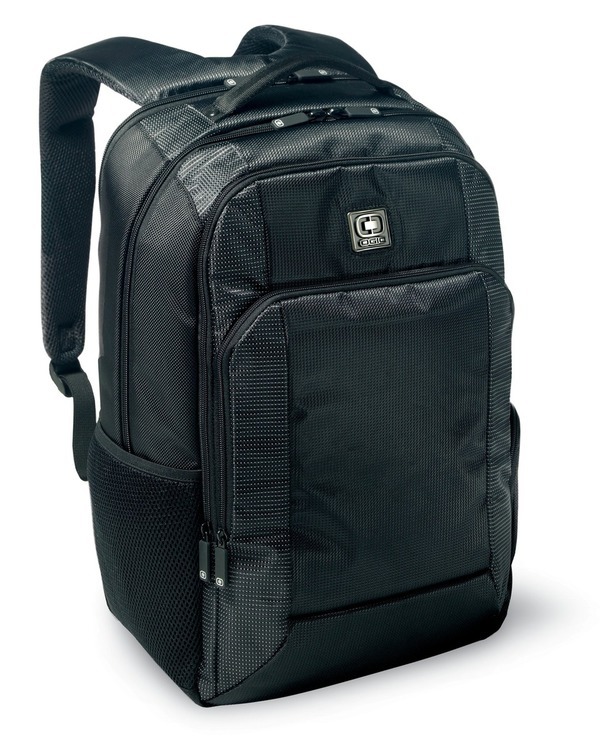 Includes a leather trimmed non slip shoulder strap adjustable up to 56". 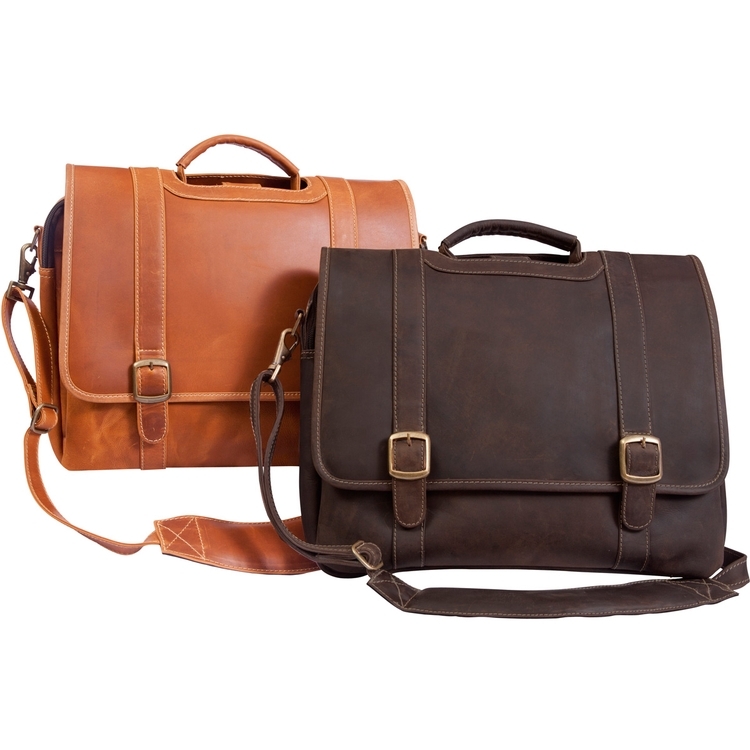 The strap can also be removed and carried with the two leather carrying handles. 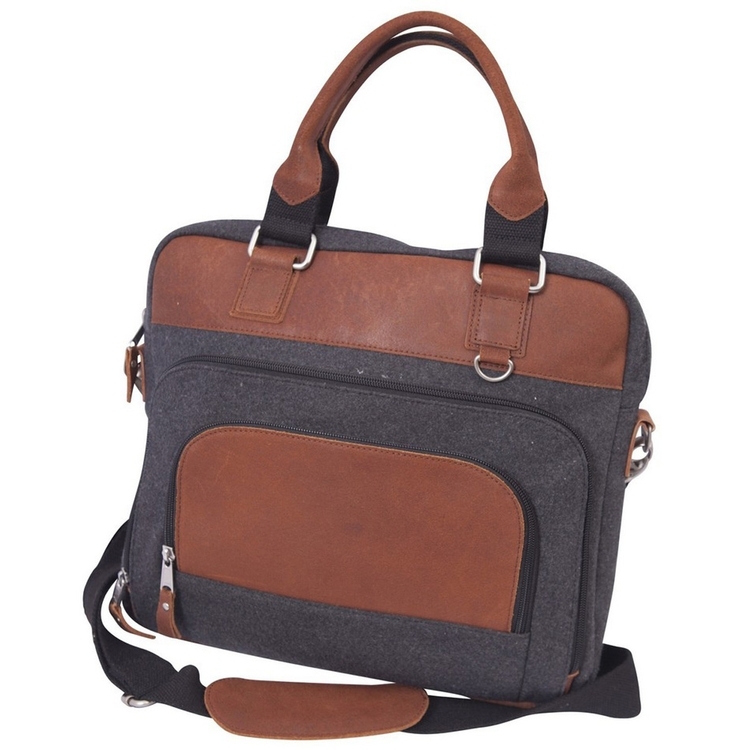 Laptop Sleeve: 12" (w) x 8-1/2" (h) x 1-1/2" (d). 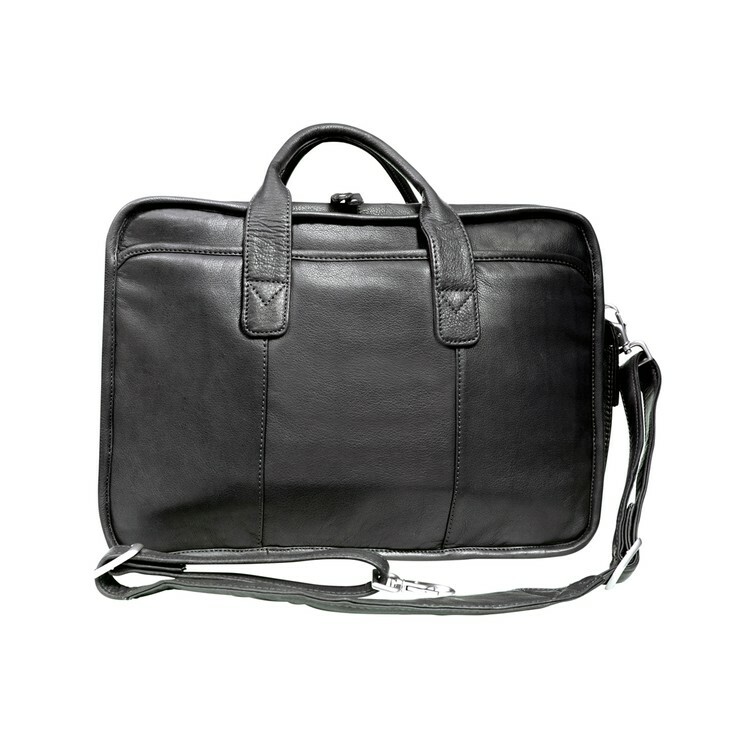 Optional: 1-1/2"w x 1"H Centered On Small Leather Front Pocket.